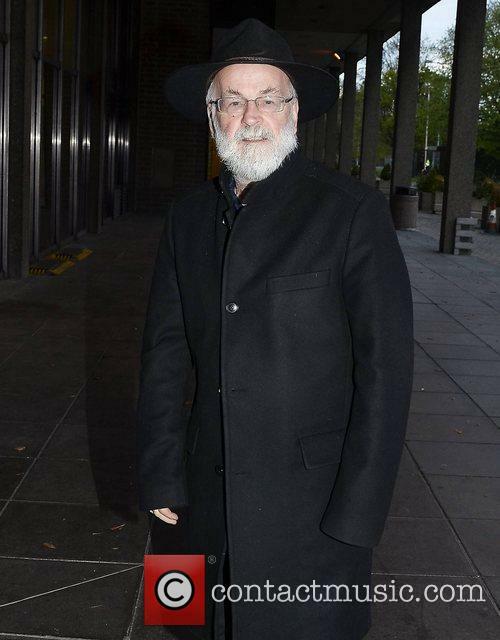 Pratchett died aged 66 in March 2015. The unfinished works of Sir Terry Pratchett have been destroyed by a steamroller -as per the author's last request. A hard drive that was thought to contain up to 10 unfinished novels was crushed by a John Fowler & Co steamroller at Great Dorset Steam Fair on Friday (August 25), supervised by the late author’s assistant. Gaiman has agreed to continue writing the TV adaptation, after receiving his late co-author’s blessing. Neil Gaiman will be adapting Good Omens, the 1990 novel he co-authored with Terry Pratchett for television after all, after receiving his late friend’s blessing. 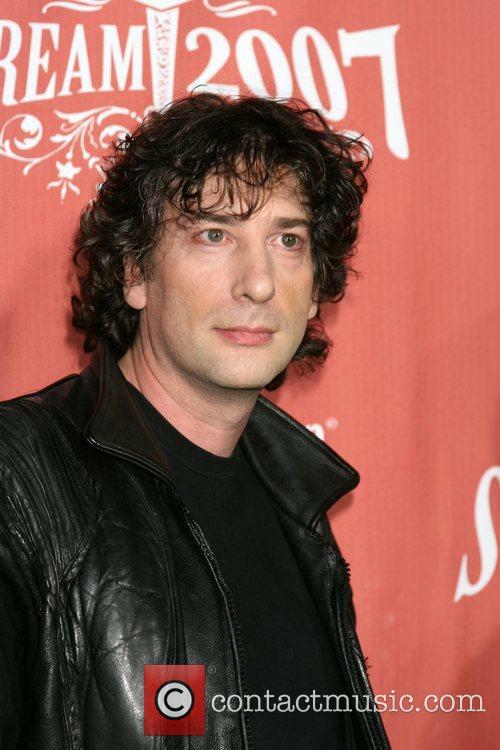 Gaiman had initially started work on the project in 2011, but after Pratchett’s death in March 2015 fans were unsure if Good Omens would ever make it to the small screen. Neil Gaiman is adapting Good Omens for television. 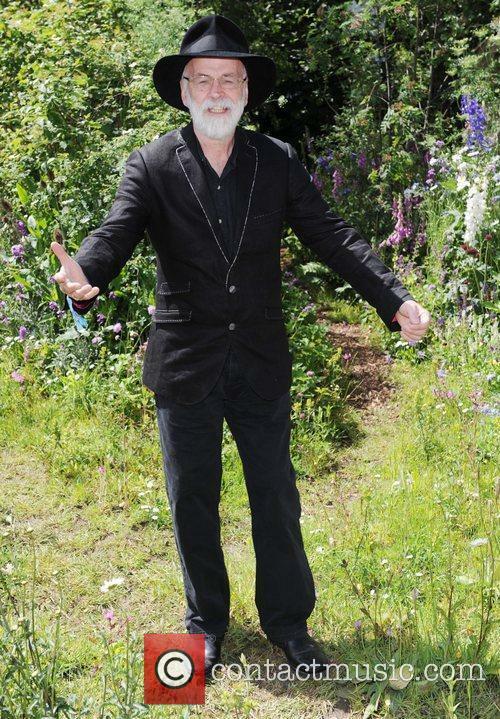 Speaking at a memorial event for the author on Thursday (April 14) Gaiman revealed that one of Pratchett’s last requests to him was that he continue on with the adaptation. “Terry and I [initially] had a deal that we would only work on Good Omens things together,” Gaiman said. The 'Discworld' author, who wrote more than 70 novels in his career, died at his home on Thursday afternoon. 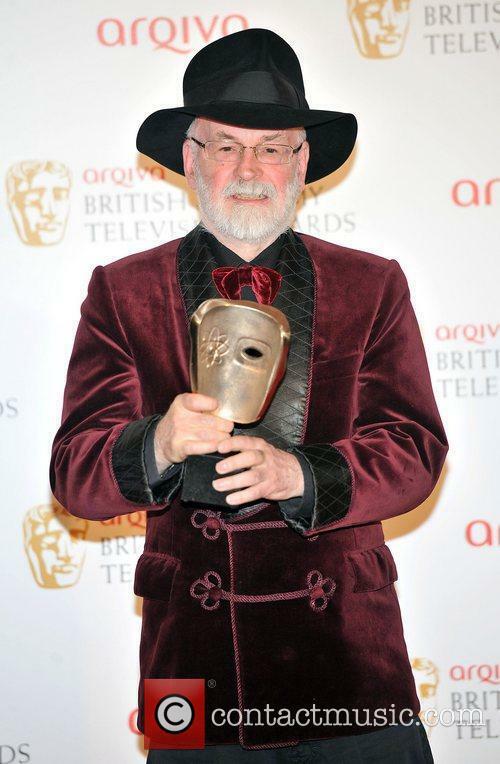 Sir Terry Pratchett, the renowned author of several fantasy novels, has died at the age of 66. He died at his home surrounding by his family, eight years after being diagnosed with Alzheimer’s disease. 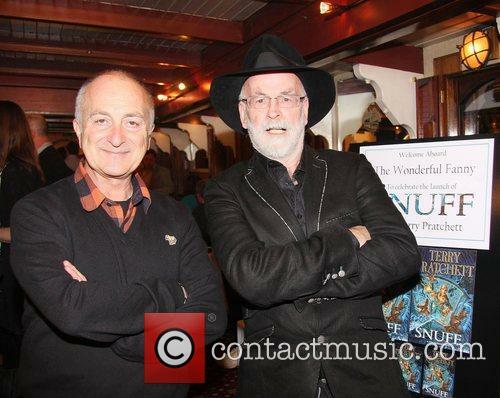 Pratchett’s publishers Transworld confirmed his passing, saying “The world has lost one of its brightest, sharpest minds.” Earlier on Thursday, the author had composed a series of moving posts on his Twitter account. In a writing career spanning over four decades, the much-loved author wrote more than 70 books that have been translated into 37 languages. At the turn of century, he was the second-most-read author in Britain, exceeded only by ‘Harry Potter’ author J.K. Rowling. The International Emmy Awards is a celebration of the best television made outside of the USA. This year, Brits won just two awards, which included Best Documentary for Terry Pratchett's 'Choosing to Die', and Charlie Brooker's 'Black Mirror' won in the category of Best TV Movie/Mini-Series. Pratchett's documentary was given a hefty amount of criticism from religious charities and leaders, as well as politicians, who all considered it to be 'euthanasia propaganda'. Clearly however, the judges of the awards thought much more highly of the film, which followed Peter Smedley, a victim of motor-neurone disease, and his journey towards his 'assisted death'. Having been diagnosed with Alzheimers, the fantasy fiction writer has been outspoken regarding his support of euthanasia and assisted death, according to the Daily Mail he has criticized the government for not considering dementia a 'real' disease, forcing families into 'bankrupcy' rather than treatment being available by the NHS. Charlie Brooker's satirical and astute political drama series, Black Mirror, also won at the awards. First broadcast in 2011, it has since been commissioned for a second series, according to the BBC. Channel 4 described it as a 'twisted parable' the meaning of which clearly conveyed itself effectively to the award organisers. Terry Pratchett - Terry Pratchett, Tuesday 17th January 2012 at the BBC Radio 1 Cover party held at Claridge's.